SOM: You have a new app coming out right? What is the name of it? SOM: So why did you choose to create an app/game? Hoopz: Why Not? I got presented with the opportunity and I took it. I also own a percentage of the company. I mean I’m not a genius in that field, but I do have control over the app. Its also really cool, and it will be available Fall 2016 or thats the projected release time. SOM: You also have a Wine coming out right? Hoopz: Yes, its pretty much the same thing, it was an opportunity that was presented to me and I challenged myself to do it. The company I have partnered with is based in Atlanta, Ga. and we are starting off with a Champagne for release in the Fall of this year as well. SOM: What do you look for in the taste of wines? Hoopz: Adept and consistency. It has to be mellow, strong, but taste good as well. During wine tastings, I think I turned away 17 bottles. SOM: So what other projects are you currently working on right now? Hoopz: Well, very exciting probably another reality show! In between picking concepts right now. But it has to make sense for me, it has to be about 5–7 years planned out. SOM: Did you like reality tv when first got in to it? Hoopz: I did;t really know back then. We were new, and it was real and unscripted. Like I didn’t wake up one day and say hey, I’m going to be on reality TV, and I’m going to be famous for it. You know, it was more of I tried it and this happen. I think you can wash yourself up so quick, thats why you have to pick and choose what you do. SOM: So did you all get paid from doing Flavor of Love? SOM: So from the show, its only like you an a couple of other ladies that are relevant still right? Hoopz: Yea, um I reckon, I mean I guess. I guess people talk about us still. SOM: Yes at least you and New York. Hoopz: Yea but that girl get on anything, God Bless her though, she deserves it. SOM: How do peoples opinions affect you in regards to your start in the entertainment industry coming from reality television? Hoopz: Well, that would be the truth. I mean, I don’t really care at this point. Ive been over social media years ago. It doesn’t affect me. SOM: So are you currently dating anyone right now? Hoopz: No, gosh my love life is so dang dry, Its dry like my grass I’m looking at right now. SOM: So can you tell us about your upcoming directorial debut? Hoopz: Yes, years ago (laughs) I went to the film academy in Hollywood for Directing. So Im working on a docs-series for a friend of mine from BMB. The series is centered around the owner of BMB who has 3 wives, which his story will be coming to Lifetime soon. It is an exceptional show, make sure you all tune in. SOM: So exactly how tall are you? SOM: So what is your routine for fitness, we know you like to stay in shape? Hoopz: Staying active, and running to the park, I also like to climb and hike mountains. Also, Love basketball, and its been that way ever since I’ve been five. SOM: What are some of the goals you have set for yourself on the entrepreneurial side? Hoopz: Hmm, of course to be successful, but I started a clothing boutique here in Tennessee, and it didn’t work out. It would have in more of a metropolitan city like Atlanta, Vegas, Miami, but not here. So what I’m saying is I’m always looking to grow and learn more, cause you never know what will work and what won’t in business. It doesn’t matter how much money you have, or who you are. Is just business. SOM: Ok, so what advice do you give to someone who is trying to break into the entertainment or becoming an entrepreneur? Hoopz: A team is the most important part of your work, get one with you and behind you 100%. Figure out who you will work with and make sure you trust them. SOM: How do you feel about Police brutality? Hoopz: Angry, there are things I want to say about it, but people scrutinize you for every little thing. But for people who haven’t been through it, I feel that they should keep their mouth shut. I’ve experienced brutality, and theirs nothing you can do about it, I wrote an article about it. But, its real, and its very real. And since I grew up mixed, I caught it from both sides and even the law. SOM: So what do you do in your spare time? 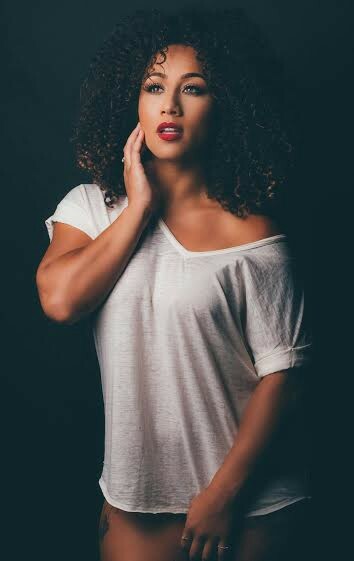 Hoopz: i love fishing, riding bikes, driving 4-Wheelers, hiking, and building forts. SOM: Forts? Where would you build one at? SOM: So where can people find you at? 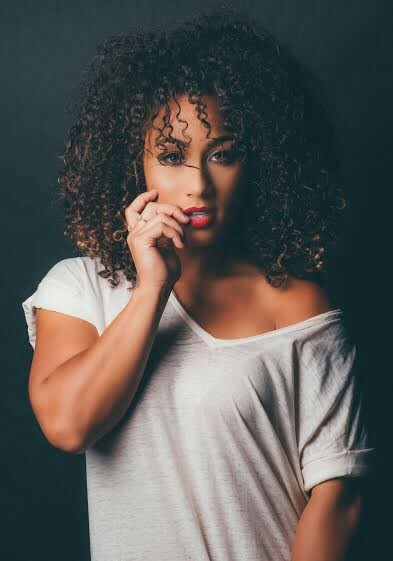 Hoopz: www.iamalexandernicole.com or therealhoopz on social media. SOM: So what is the craziest rumor you’ve heard about yourself? Hoopz: That I died in a car accident while being pregnant by 4 different baby daddy choices. So there you have it people and thats a wrap!